BBC Cambridge – A First? On the 7th October 2011 the BBC in Cambridge have finally published a negative story about Darragh MacAnthony. MRISG members are now wondering if the love-in has finally ended…. However, it is noted that there is no facility to add comment about the article. Peterborough United chairman Darragh MacAnthony has been fined £2,000 by the Football Association for comments he made on Twitter. He questioned the referee’s performance on the social networking site following their defeat at West Ham. “Wouldn’t it be nice to get referees with balls the size of melons instead of peanuts sometimes?” he wrote of match official Tony Bates in September. After requesting a non-personal hearing the Posh chairman was fined and warned as to his future conduct. Posh lost the game 1-0 with Mark Noble’s penalty proving the difference. MacAnthony has since reacted to the charge through his Twitter account: “No comment or I’ll be charged again. Re managers and referees: The FA police managers etc, who polices the officials when they make errors or mistakes etc? Meanwhile, manager Darren Ferguson and his assistant Kevin Russell have received a similar charge for an incident in Saturday’s 2-1 loss to Doncaster. They have until 10 October to respond to an accusation of using “language and/or behaviour amounting to improper conduct”. Peterborough chairman charged with misconduct. 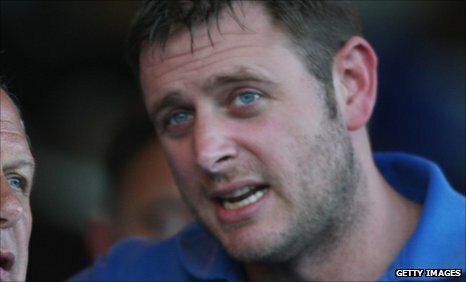 Peterborough United chairman Darragh MacAnthony has been charged by The FA for Twitter comments amounting to improper conduct which he made in relation to his club’s match at West Ham United on 24 September 2011. MacAnthony has admitted the charge and requested a non personal hearing. MRISG Members want to know why the police have not charged him? Anyone who knows please comment…….